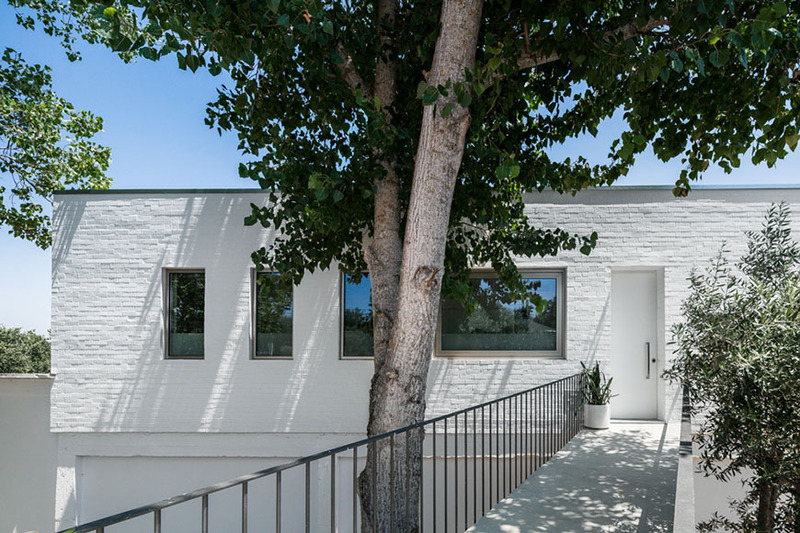 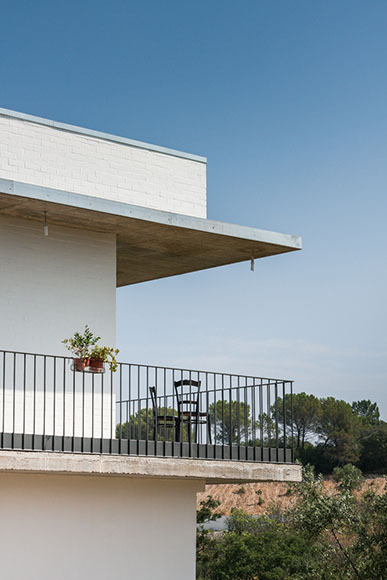 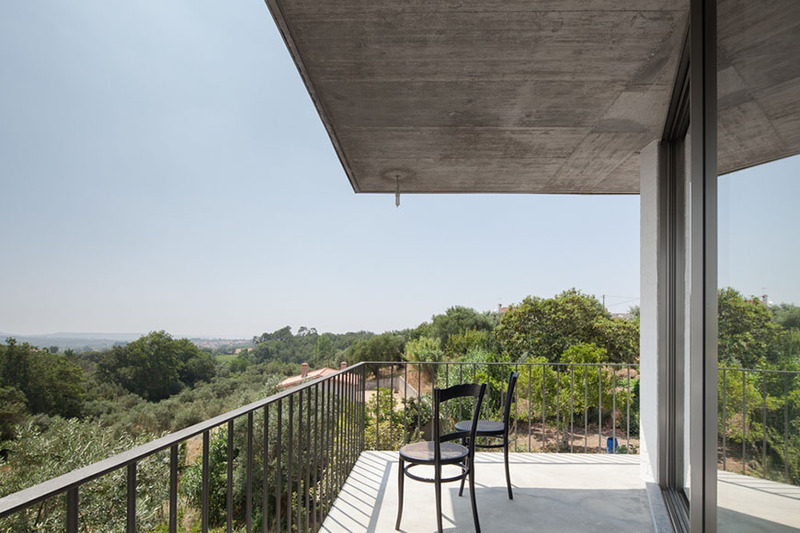 The briefing was to build a three-bedroom house on top of a warehouse built in the 80’s, where part of the roof was made with a flat slab and a small balcony, precisely with that idea of later building the house. 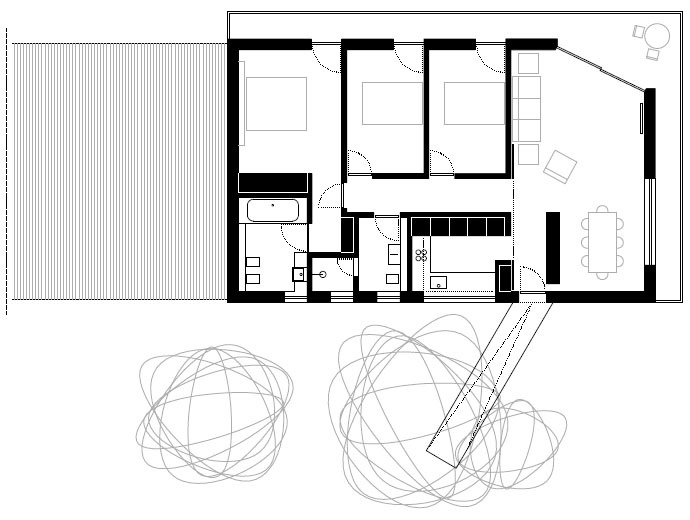 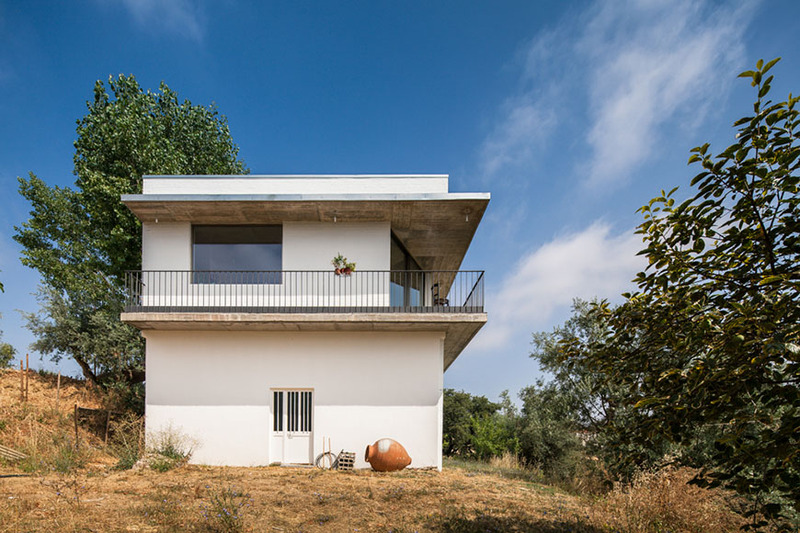 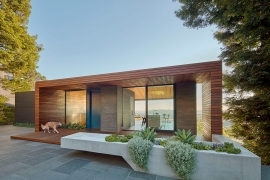 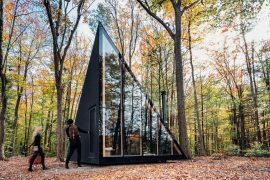 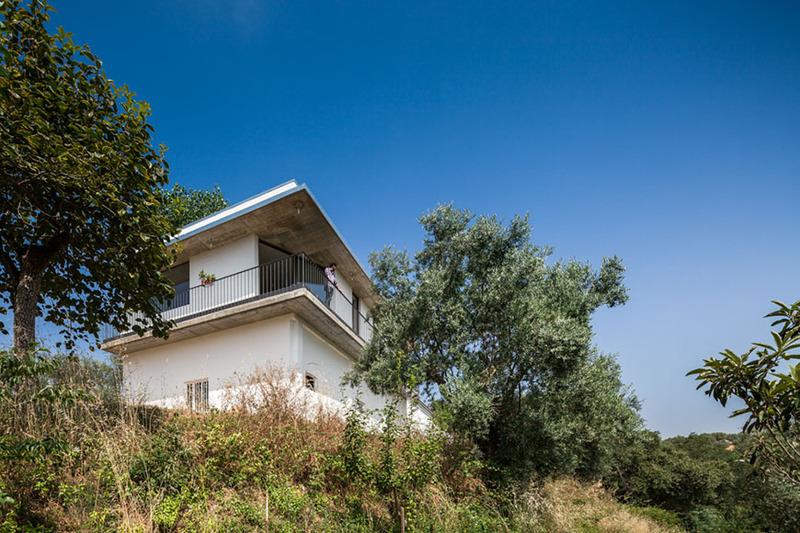 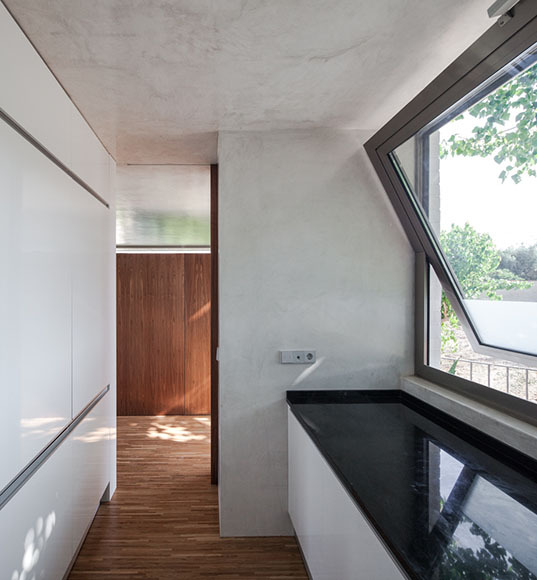 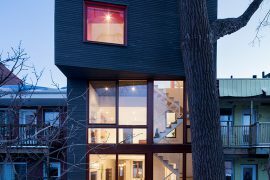 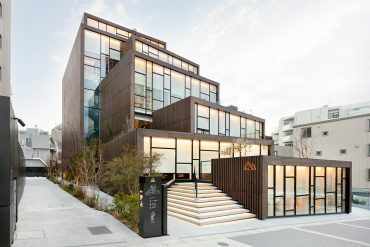 Given the constraints of the existing warehouse, the house shape turns out to be automatically set: a box that rests on the existing structure. 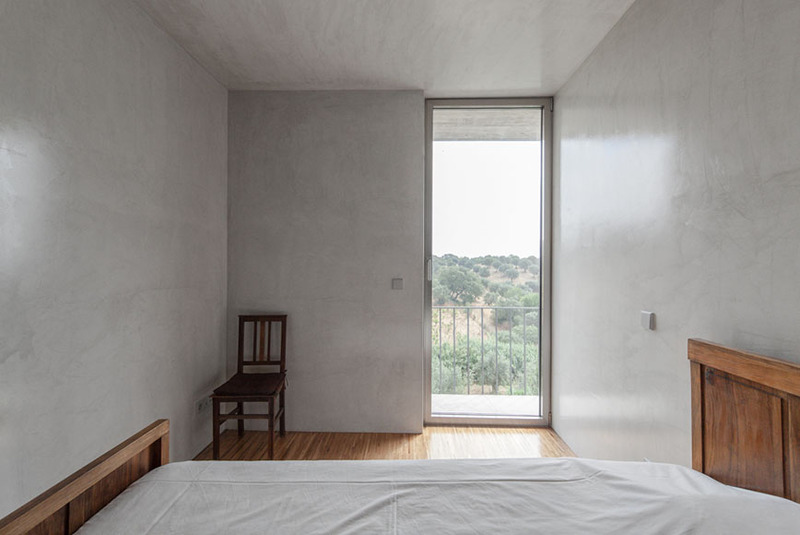 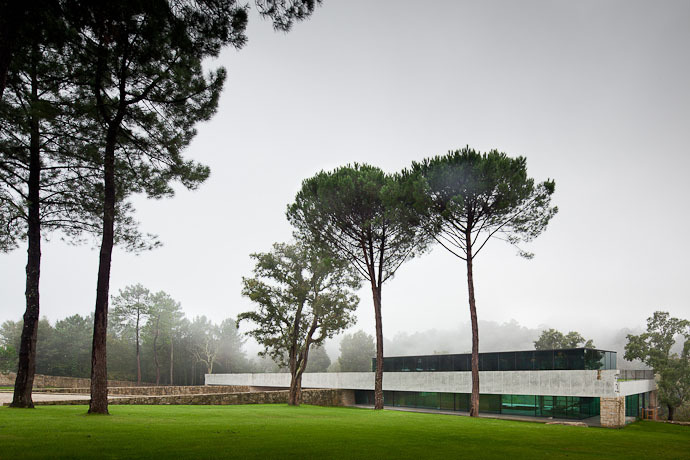 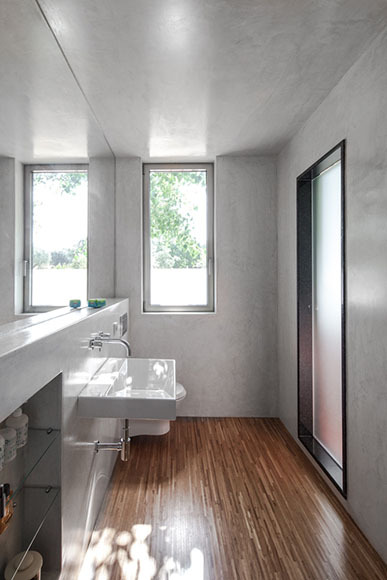 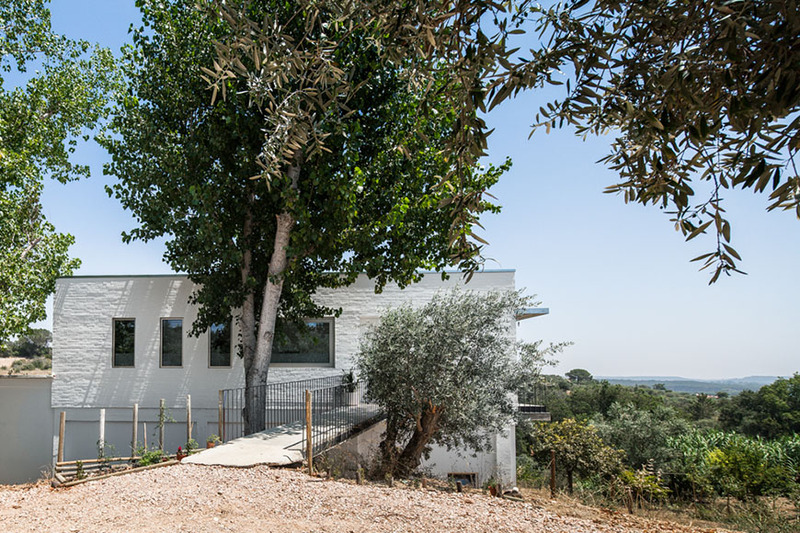 The rooms are placed to the east, the toilets to the west, as well as the kitchen, looking to a centennial olive tree. 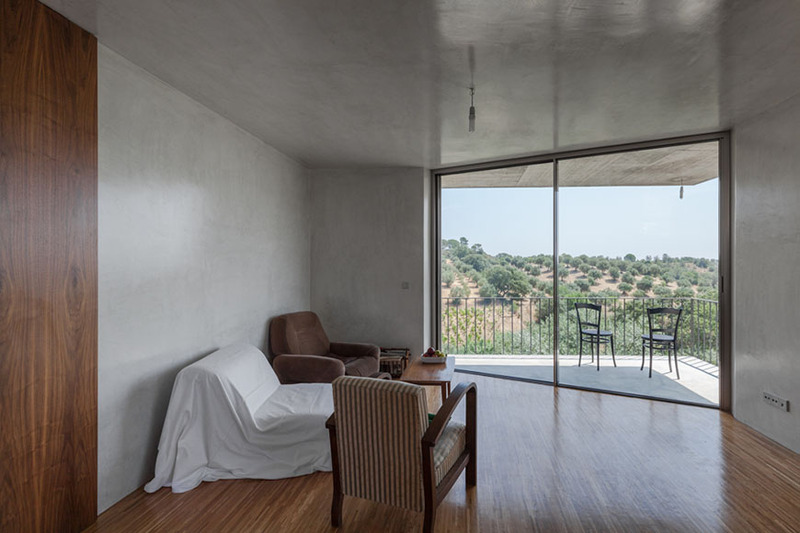 The existing balcony will be maintained and ‘duplicated’ as a shading element. 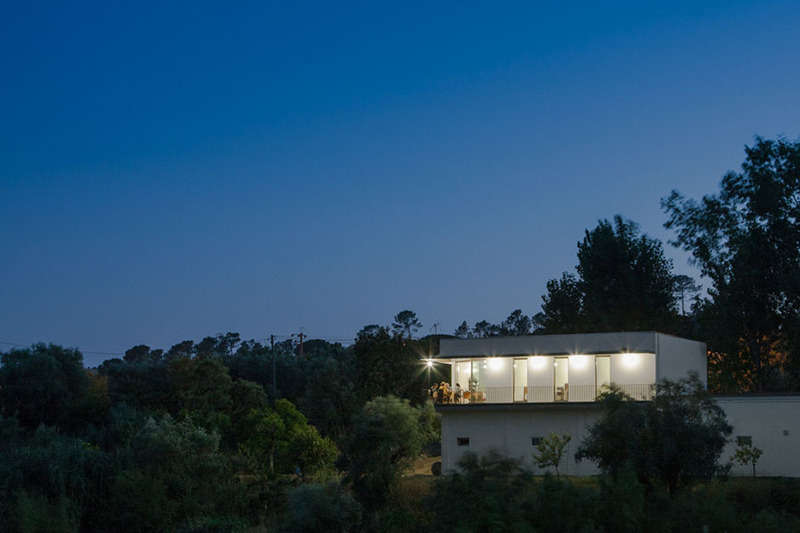 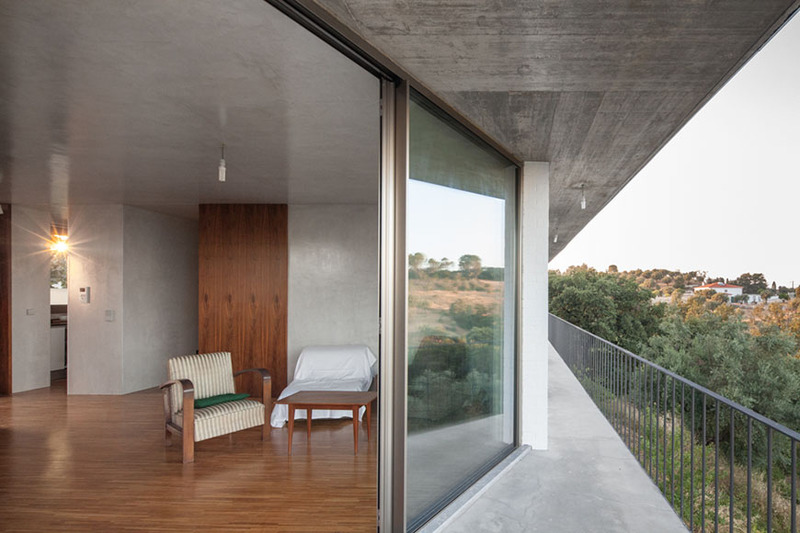 The living room is placed south where its south/east corner is diagonally cut in a way that the balcony could enlarge and offer an outdoor area protected from the sun and rain, overlooking the valley.